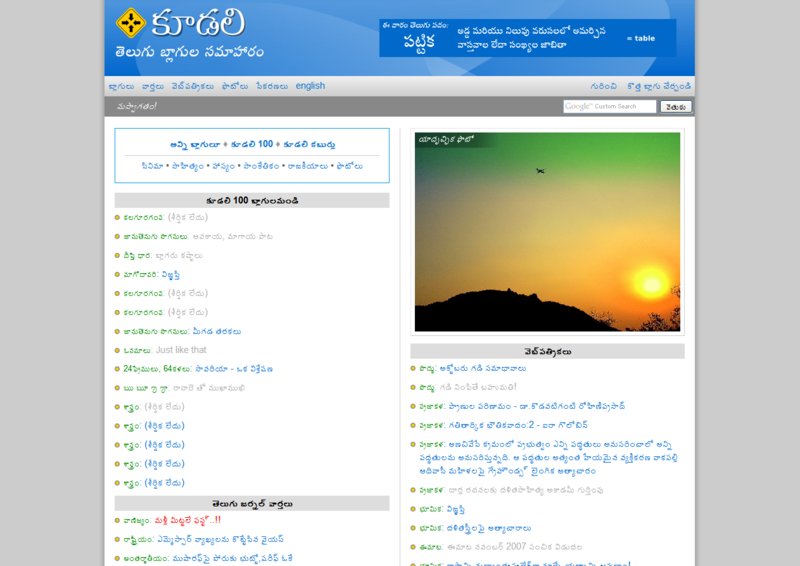 ePADAM (à°‡ à°ªà°¦à°‚) is a weblog. This blog complements and contributes to the regular feature in Andhrajyothy, a Telugu daily news paper. Andhrajyoti publishes this column every Tuesday in it’s magazine supplement (a book format). It is called Diksoochi (à°¦à°¿à°•à±à°¸à±‚à°šà°¿). The Hindu mythology and puranaas are well known as Jagannatakam created by god.Â I always wonder that how they authored such a massive story with thousands of unique characters with out a single flaw or visible stitch. For me, it looks like World’s Greatest Screen Play that was ever ever written. Every character has its own & unique values and power and meaning to live those times. These characters always look facinating to me. Having said that, I am trying to throw some light on these characters in a new telugu blog called Jagannatakam. I hope readers also would share thier views and known things about these characters.